Our goal is to provide you with superior dental care and excellent customer service. We love meeting new patients. Are you interested in becoming part of our family? 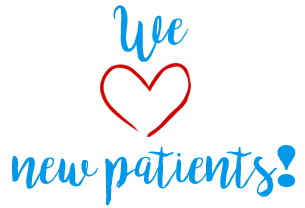 We provide heartfelt service with cutting edge technology. We would love to meet you. Give us a call or click to submit an appointment request. Welcome! 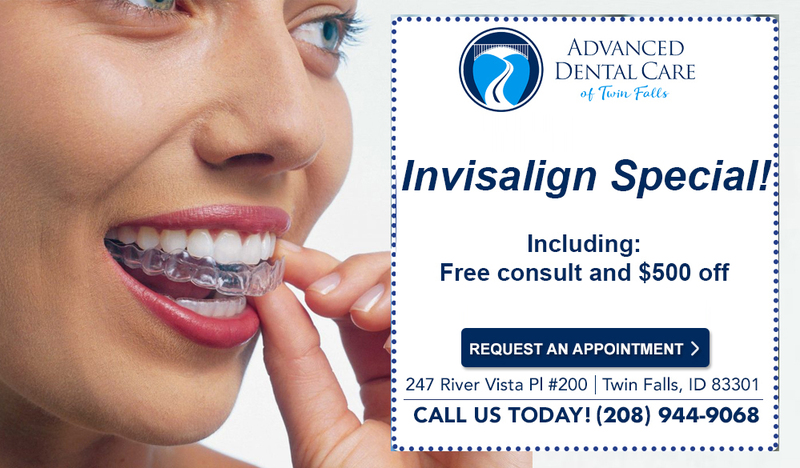 Our goal at Advanced Dental Care of Twin Falls is to provide you excellent dental care, top notch customer service, and guarantees for your dental care. We work hard to introduce the latest dental technologies into our office. Our team is continually learning new techniques and services to give you the very best care possible. We do our best to listen to your concerns, educate you on your needs, and personalize the best treatment for you. I have always had a positive experience when I go to Advances Dental Care of Twin Falls. I would not hesitate to recommend them to friends and family. Not what you would expect from a dentist office. They gave me a tour right off the bat and introduced me to almost everyone in the office. Made me feel like I was the most important patient they had ever seen. Very professional and the friendliest people you'll ever meet. They explained my options and gave suggestions but ultimately the choice was up to me. Wish I would have found them sooner. I'm so glad I was referred to them! I would recommend them to anyone and everyone. I looked online at reviews to make sure I wanted to go here and the reviews are honest! Everyone is friendly and welcoming. And the prices are great! I almost thought for how they were so wonderful to me that I was going to be Paying for it with my wallet! But that’s not how it is at all they truly care for their patience and it shows & the community. I’m so happy to finally be happy with going to a dental office. Great environment and they We’re very gentle. I appreciated it SO much! Thank you! We have been clients of Advanced Dental Care for 15+ years and I would have no reason to go anywhere else. From the helpful, friendly staff to the quality care it is first rate. My whole family of 6 has been treated at ADC with everything from routine exams and cleanings to major issues and extractions. I would recommend Advanced Dental Care of Twin Falls to anyone and everyone! My wife and I have been going to Advanced Dental for years and we love the staff. Everyone is so friendly and they make a point to make you comfortable. I couldn't ask for more friendly or better service. I will continue to go there as long as I live in Twin Falls and I highly recommend them to anyone looking for dental care. I have had a lot of dental work done in my life and have been to a lot of different dentists. This is by far the best dental office I have ever been to. Dr. Brian definitely goes above and beyond to ensure you have a good a good experience. I have had 3 dental implants done and my experience has been wonderful. The staff in this office is the nicest and most professional that I have ever encountered. If you want the best care this is definitely the place to go!!!!! Doctors Brian and Craig Rencher epitomize professionalism and the dental art. I've been happy with them for years. Very caring and friendly services. They helped accommodate to my needs and were able to understand my situation. 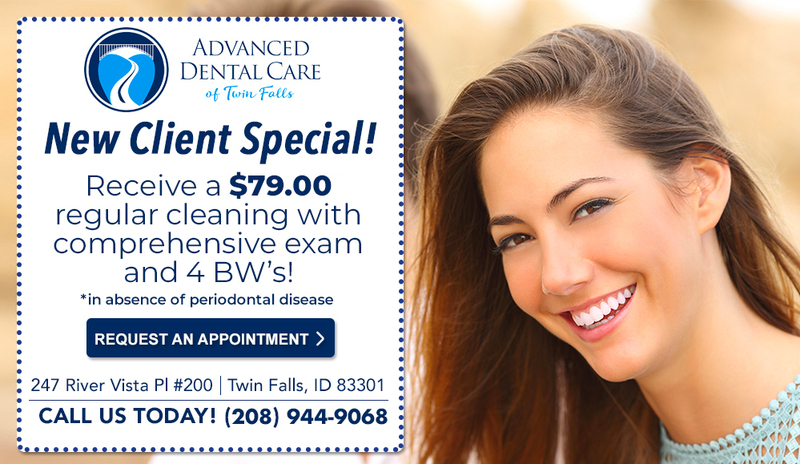 Contact the Advanced Dental Care of Twin Falls to schedule an appointment or to request additional information about our services. We look forward to hearing from you.